Does your Roofing Contractor use a Leak Barrier? A leak barrier product in roofing is known as Ice and W ater Shield. It has become like the term Kleenex is the world of tissue even though there are many brands. CertainTeed has a leak barrier commonly used known as WinterGuard. GAF has one known as Weather Watch. 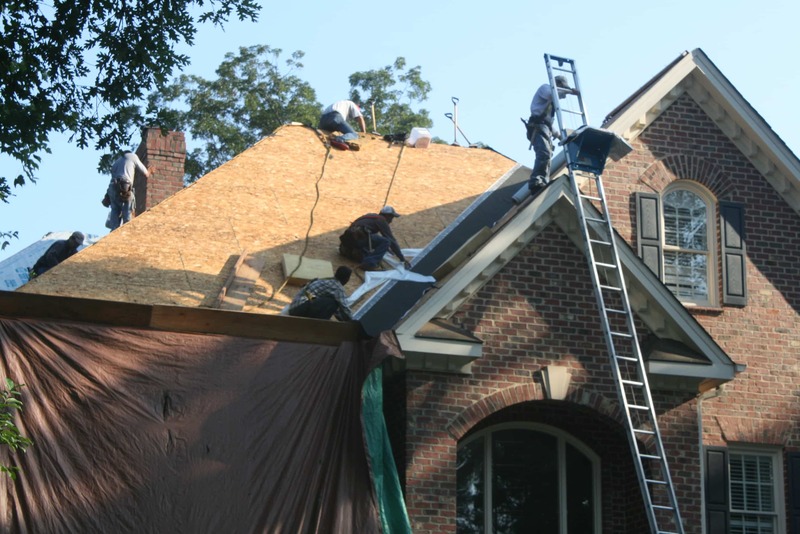 Regardless of the brand, it is most important that your roofing contractor is using it. Sure, it’s building code from the mountains of North Carolina and Virginia North. But, do you know why? Ice damming is the primary reason for the use of ice and water shield. As it snows and the mound builds, compacts and freezes the process begins. You see, ice damming occurs when the heated air from the home rises and melts the snow from the bottom upwards. The water runs down the roof and meets the ice from the over hangs, or soffits. The ice dams remain frozen in over hanging areas. Therefore you have water meeting a frozen dam and it stops and re-freezes. 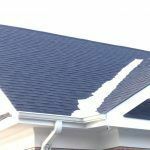 This process continues until the water begins backing upwards to over the back of the lower shingle, or a nail pop, and a water stain occurs at the interior wall of your home. In central NC, where Consolidated Roofing Systems is based, we do not have a common issue with ice damming. However, we do have a large amount of leaves and pine straw. As they gather and build up on valleys and gutters the same general process begins as with ice damming. So, what do we do to prevent this problem from happening? As a standard of practice, CRS installs a full sheet of ice and water shield in all valleys, around chimneys, vent pipes and, most importantly, sky lights. In conclusion, it is very important that you ask if your roofing contractor is using ice and water shield in areas where it is not code. 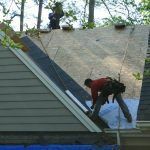 Within and unregulated state for the roofing industry, most will cut corners and will not use it to keep their price low. Installing a quality roofing system is not about price. You see, it’s more about the training and knowledge of how the system works together. When looking to replace your roof, always look to a local and factory certified roofing contractor. A leak barrier product in roofing is known as Ice and Water Shield. It has become like the term Kleenex is the world of tissue even though there are many brands. CertainTeed has one commonly used known as Winter Guard. GAF has one known as Weather Watch. Regardless of the brand, it is most important that your roofing contractor is using it. Sure, it’s building code from the mountains of North Carolina and Virginia North. But, do you know why? Ice damming is the primary reason for the use of ice and water shield.